Hope your week is off to a great start! If you know me, then you know I can't start my day without coffee. 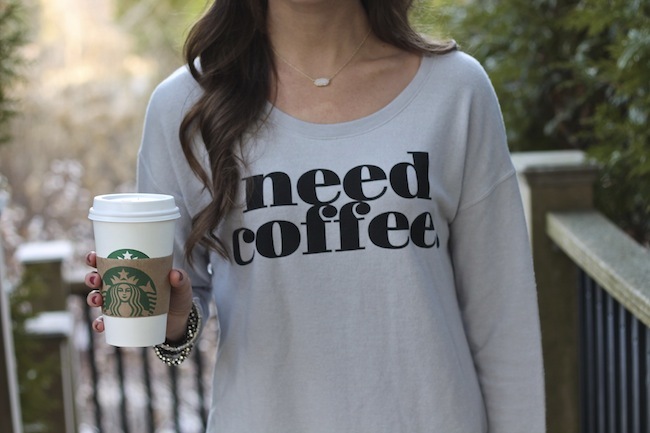 It doesn't matter if I sleep for 5 hours or for 12 hours, I need coffee asap when I wake up! 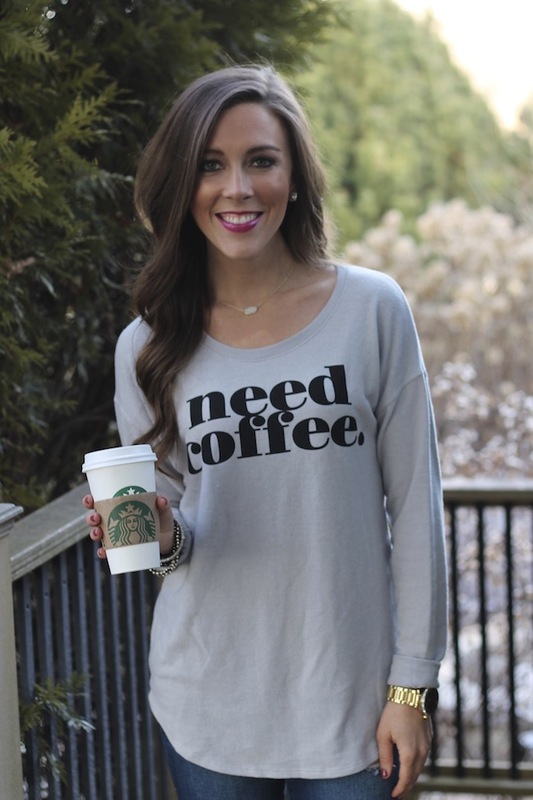 I'm also a firm believer that Starbucks is heaven on earth...so when I saw this sweatshirt I knew I had to have it! 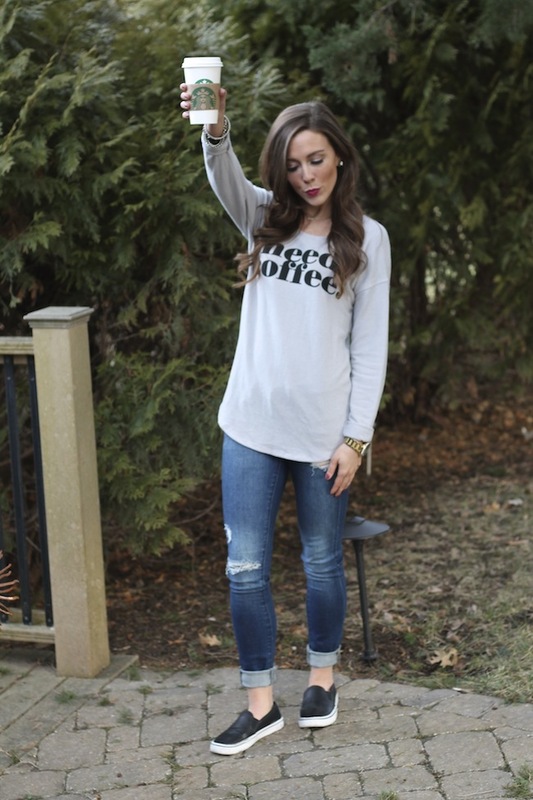 I think screenprinted sweatshirts and tee's are so cute and fun to have for weekend wear! #obsessed. 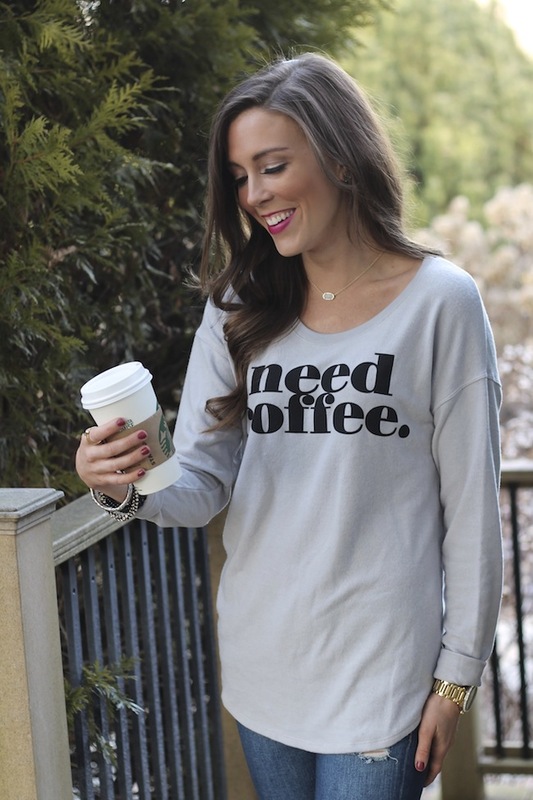 It's a little more $ than I would typically spend on a sweatshirt, but I've honestly worn this one every weekend since I got it- it's SO soft too- which makes it totally worth it to me! We have both been using Tula products for a few weeks now and are obsessed! We try lotssss of skin care products because we always are looking for reasonably priced products that actually improve our skin texture and appearance. So, after many failed products, we're usually pretty skeptical about investing in a new skin care line. However, with Tula products we can't get over how great the results are in such a short amount of time of using them! Plus, we didn't have to break the bank to try them out! 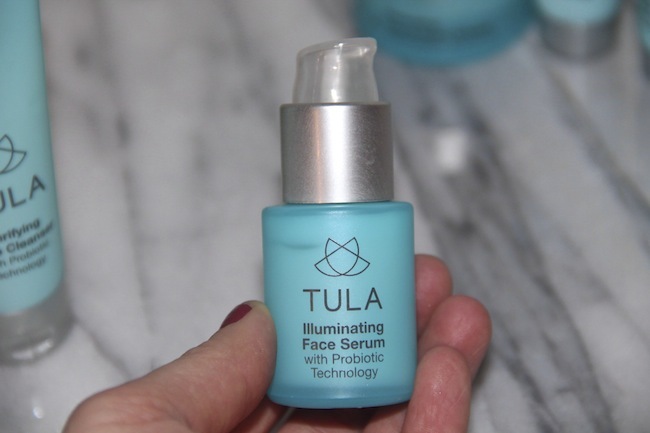 What's different about Tula is that they use probiotics in their products. Yes, probiotics! We're talking about the same thing thats in foods like yogurt. Probiotics are actually very beneficial when applied topically to the skin because they help balance it from the inside out! The probiotic technology in each of their products also helps with wrinkle reduction, evening skin texture, hydration, and they reduce redness and inflammation. And who doesn't need help with all of that?! We both have different skin types. Amy's face tends to be more oily, while Hannah's tends to be more dry. 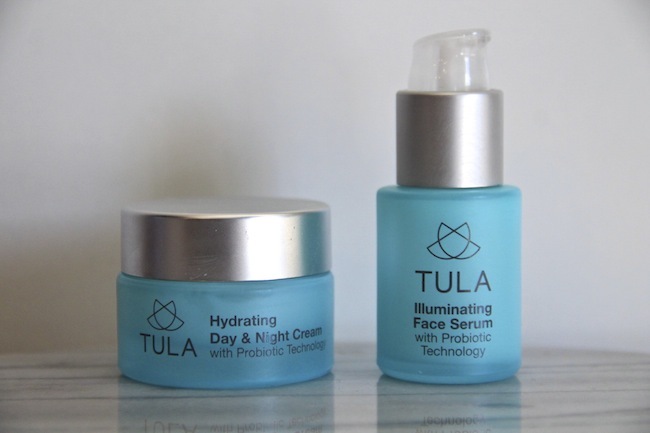 But the Tula products have helped us both and we've noticed our skin is more glowy and hydrated, without looking too greasy or oily! Today, Tula launched their "duo" products (we like to think they named them after us ;) ) and we're so excited about them- you can try out any of the duo's from $28-$38! That way you don't waste money on a product, if it doesn't work out for your skin type! AND if you use code "simplyduostyle25" at checkout you'll get 25% off ANY product + FREE SHIPPING! Holllllaaaa! Our favorite duo is the Complexion Boost Duo because we've seen the greatest results with these two products so far! Ahhhh! I am SO excited that it's finally the weekend! 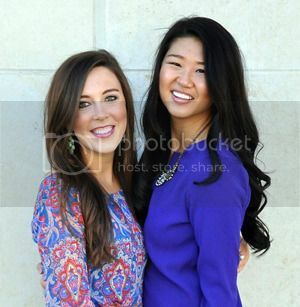 I can't wait to sleep in on Saturday and CELEBRATE Hannah's birthday all weekend long with all of our gal pals! We are planning on going to a cute Paint & Wine studio Saturday night to get our artsy-ness on and then brunch on Sunday! This outfit is a little out of my normal element, but I am totally feeling the 70's vibes lately! I would highly suggest you step out of your comfort zone and invest in a pair of flare jeans (major sale ones here--- similar & similar) for the spring/summer time! They are so chic and go with absolutely anything - from pairing a blouse for work, or a crop top for more of an edgy look! Hope you are all having a great week so far! I spent the weekend in Chicago with my boyfriend celebrating Valentines Day and my birthday so I'm still recovering from all the amazinggg food we had! Anyways, can you believe that this red dress is only $16.99?! Such a great deal! I love that it's velvet material (so in style right now!) and that it cinches around the waist for a flattering look! 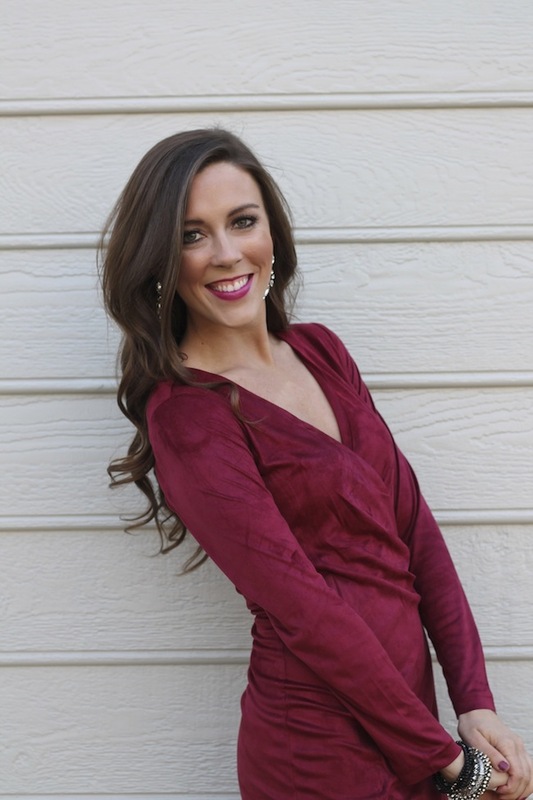 It's a little short but otherwise great for any fun & flirty winter event! 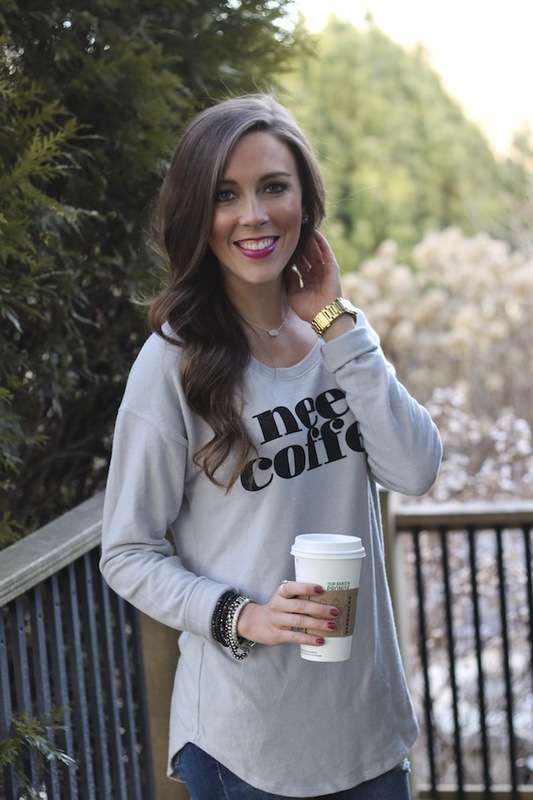 If you're looking for great pieces at very affordable prices- be sure and check out romwe.com! They have lots of different clothing and lots on sale! Amy got her cute lapel vest from them, as well! And it was only $18.50! You can view her outfit: here!